Ehab Samy has more than 20 years of software experience and has vast experience in building, selling, implementing and teaching business solutions for many industries and market sizes, including numerous award-winning applications for organizations such as USAID (US Agency for International Development), Kodak, Xerox, and Pivotal CRM. An established thought leader, Ehab has presented at many industry conferences, published numerous articles on reputed online and printed media, and was the first to integrate popular established social media channels into Customer Relationship Management (CRM) solutions in a way that enhanced the value of social media for CRM users. Ehab’s true passion is solving business problems with technology, while his biggest strength is building teams and best of breed solutions from the ground up and delivering them in record breaking time and cost. 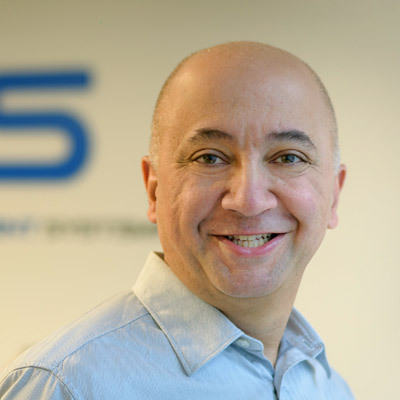 Prior to joining AIS in 2019, Ehab was in charge of product management for Plurilock Security Solutions, a cyber-security firm with Artificial Intelligence at its core. Mr. Samy holds a Computer Science degree from The American University in Cairo.